"Gain Exclusive Access to My 31 'Top-Secret' Tools to Easily Tap Into Your Brain's Latent Genius, Reduce Your Stress Levels and Increase Your Productivity..."
I'm sure you already know that the human brain is the most complex and powerful computing machine in the world. But are we really using all that computing power? Even if you are the world's biggest skeptic, you can't really argue with that statement. A pretty great life, right? Once you know how to use your brain for peak efficiency, you can learn anything...you just have to let the knowledge get soaked up by your marvelous brain. Wouldn't it be amazing if you absolutely knew that you could learn anything easily and quickly? Imagine the things you could accomplish with all of that knowledge integrated into your mind. That is called Super Learning, and it’s really just the start of the fantastic brain improvements you can experience with Genius Brain Power. The traditional methods of upgrading your brain for super-human levels of genius involve hours of daily meditation and other disciplines designed to force the brain to adapt to extreme circumstances. While that approach does eventually work, wouldn’t you rather skip all of that suffering and get straight to the rewards? The technology is called Brainwave Entrainment, and it literally flips the “on switch” in the other 90% of your brain that has been sleeping. Brainwave Entrainment guides the brain into a specific frequency using computer generated rhythmic pulses of sound. By exposing the brain to special computer generated tones that are pulsed at a specific frequency, the brain will synchronize its own electrical impulses to that same frequency. This means the brain becomes “entrained” to (matched to) the specific frequency of the pulses, which gives you the ability to choose the primary frequency you want to experience in your brain. By guiding your brain into higher (faster) frequency brainwave patterns, you can experience the kind of “whole brain functioning” that used to be available only to natural born geniuses. By guiding the brain into deeper (slower) frequency brainwave patterns, you can induce a profoundly deep state of relaxation and meditation with almost no effort. This means YOU can begin to effortlessly experience the benefits of years of meditation in just a few weeks, simply by using Genius Brain Power’s “top-secret” brain upgrade methods. The highly advanced entrainment technology used in the Genius Brain Power system is far more effective than offerings in much higher priced products, mainly because other companies use a very old type of Brainwave Entrainment that was discovered 150 years ago, called binaural beats. Those less effective binaural beats send differently pitched frequencies into each ear to get your brain to “do math” and entrain to the difference between the two pitches. Binaural beats were a great discovery, but many people don’t respond very well to this method of entrainment. That’s why I use a far superior, much more modern brainwave entrainment technology in Genius Brain Power. The biggest of many advantages Genius Brain Power (GBP) has over binaural beats is that the brain doesn’t adapt to GBP’s rhythmic tones over time and ignore them, like it does with binaurals. This means GBP will continue to give you results for years, so you can keep improving your brain without having to buy more products. Rhythmic frequencies are the basis of how the brain operates, so your brain is guaranteed respond to Genius Brain Power’s pulsed brainwave rhythms. With these audible, computer generated pulsed tones, the brain is safely, gently and effectively guided to entrain to your most optimal brainwave frequencies. 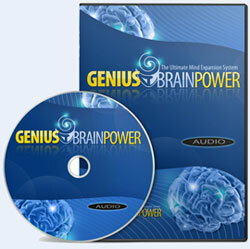 These tones need to be audible, so you will hear them along with the music in the Genius Brain Power package. The main thing you should remember here is that rhythm is one of the most basic functions in the human brain, so everyone's brain responds to rhythm, including yours. The brain’s natural response to "follow" or "entrain" to certain types of rhythms, coupled with my years of experience creating brainwave entrainment audio tracks has led to this breakthrough technology that I could only call “Genius Brain Power” because no other description really comes close. My name is Cameron Day and the major focus of my life has been on developing mental, emotional and spiritual mastery (with a minor in technology ;-). I have been meditating since I was 4 years old thanks to my parents who taught me a unique Buddhist “mantra” style meditation, which I was very fortunate to learn as a child. It’s a good thing I started young, because it took me a lifetime of meditation, Yoga, spiritual studies, focused personal evolution and learning technological skills to be able to create the incredibly transformational Genius Brain Power MP3 audio recordings for you. So how did I get here, and how can I help you? In my teenage years I explored "silent meditation" techniques that involve stilling the mind in order to expand my awareness. In my early 20s, I studied Kundalini Yoga which helped me transcend mind chatter and experience ultra deep, rapturous meditative states. I went on to study other mental, emotional and spiritual disciplines, eventually honing my abilities to a point where I was able to help others raise their own consciousness. I eventually “went public” with a self-help website and shared my most potent techniques for freeing the mind from limitations. I have logged hundreds of hours counseling people to help them master those techniques and release limiting beliefs and thought patterns so they can live happier, more fulfilled lives. Helping people is a great source of joy for me, and I wanted a way to speed up the process of liberation through mental and emotional evolution for my clients. In order to find a solution, I began a period of intense research into what science calls “neuro-plasticity” which is a scientific term for the brain’s ability to re-wire itself given proper stimulus. My research led me to brainwave entrainment in 2003. I bought a $150 introductory level of a “Binaural beat” package, which was the only entrainment method available at that time. I knew Brainwave Entrainment had amazing potential, but instead of following someone else’s pre-determined, over-priced program, I decided to keep doing research to find a better brainwave entrainment option for my clients. In my years of research and experimentation with binaural beat technology, I discovered that the reason binaural beats lose their effectiveness over time is because the brain gets used to processing the two different frequencies coming to it, and eventually just handles them each separately without “doing the math” to entrain to the desired frequency. The “solution” that proponents of binaural beats used was to keep lowering the "carrier frequencies" of the binaural tones to give the brain new stimulus. That wasn’t good enough for me because I wanted something that would always work and that my brain could never ignore. Through intensive testing of pulsed tones for brainwave entrainment, I knew I had finally found the solution! Because the brain doesn’t adapt to these rhythmic tones and ignore them like it does with binaural beats. Rhythm is embedded so deeply into the human brain's basic operation that it always responds to properly applied rhythmic frequencies. In fact, all of my research, testing and feedback from customers has shown that the brain responds better to the rhythmic brainwave entrainment pulses in Genius Brain Power the more often they are used! Using this breakthrough technology, I created a comprehensive audio package for my clients and subscribers on my self-help mailing list. 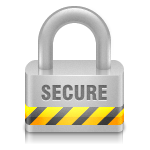 The package was a huge success, with nearly 100% positive feedback from every user. So how can all of this really benefit YOU? "I discovered the joy of living in the Now"
"You name it, I've tried it. What is the difference between this entrainment program and others? It works -- effortlessly. Other programs promise positive outcome, but those are fleeting. I simply couldn't get results to "stick." 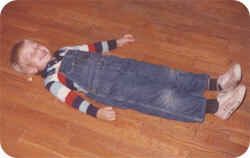 I used to live a pressure cooker existence complete with nervous overload, nightmares and fearful morning awakenings. With these brainwave entrainment meditations I have enjoyed wonderful, restorative sleep at night. I discovered the joy of living in the Now and I have flashes of insight that are helping me to understand life. I have now moved into a whole new way of calmly loving life and it seems as if I have found endlessly more time. It takes faith and trust to try something different, but your quality of life is worth it! Thank you so much, Cameron!" and dramas in my life"
"Thank you so much for all the good things your work has brought to my life. I am using your Brainwave entrainment package every day. I have achieved AMAZING meditative states that I would have never achieved without years of practice. I feel so connected to the universe and creation, and my vibrations have jumped sky high! I am free now of all the biggest fears and dramas in my life, and my consciousness expands and expands every day! Again thank you very much for everything you are doing for humanity, I will be eternally thankful for the day I ran into your website." "I have been rigorously working with meditation, frequency waves, and prayer for some time. When I used your brainwave entrainment, it easily did what I worked so hard at trying to achieve: Clearer thoughts, calmness, relaxation, deep sleep, healing and more. Thanks!" "I have used many other entrainment programs..."
"I just had to let you know what your Brainwave Entrainment has done for me. I have used many other entrainment programs but I have never received so much and so quickly as I have from yours. I love starting my day with IQ Increase. It has helped me be able to focus in even the most chaotic situations. Instead of reacting and regretting, now I am aware of how I want to react or not. All the tracks are great, but Delta Ultra Deep Meditation is my all time favorite. Thank you for helping me raise my awareness." "I will use this in my practice as a hypnotherapist"
"Thank you Cameron for your Brainwave Entrainment package. I have used others such as Hemisync and Centerpointe before. I have enjoyed greater concentration and sense of peace after listening to your recordings. I will use them in my practice as a hypnotherapist because the brain wave technology greatly assists my clients in achieving greater clarity and self improvement." "It Has Made Such an Incredible Impact..."
"Thank you for offering the new Brainwave Entrainment package! I have utilized binaural beats in the past, through other offerings and institutions, and really loved them. I felt compelled to write and tell you that your entrainment audios were such an awesome addition to my library. The selected background music is perfect, and I have found that the daily IQ is the perfect touch to my morning routine. Before I used to put on music to work through the morning, but now I use the daily IQ Increase and it has made such an incredible impact and has really helped me focus. I have been using the daily IQ Increase for the last month and it is awesome." "The Deeper Meditation Tracks Need to be Experienced Personally..."
"All of the tracks do their job very well. I find that after the Beta Relaxed Focus meditation finishes, my brain is calmly alive and awaiting instruction. I used the Beta track immediately before taking an Advanced Driving examination - I passed with merit. The deeper meditation tracks need to be experienced personally. They lead me through an array of sounds that sharpen concentration levels. I combine this focused depth together with a watch of my breathing and some inner chanting at appropriate places. As the tracks progress they lead me through an experience of joy and celebration, then changing with the sound track to a deep calmness. When each of the tracks finish, I am vividly aware of the existence my brain and its place in the Universe at that moment. It takes a few minutes and some effort to break off the meditation and return to my daily routine life after the tracks finish." "I have been experiencing consistently amazing thoughts and feelings..."
"The days I've listened to the IQ and the Theta frequency tracks have been frankly amazing. 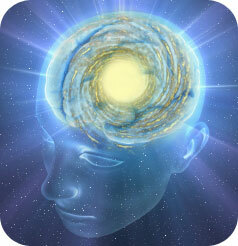 I have been experiencing consistently amazing thoughts and feelings since using the entrainment tracks. So far, there have been 5 days that I've listened to these while working & reading on my computer. After the 3rd time I happened to have a "mental breakthrough" following my listening to said tracks, I have decided to make your brainwave entrainment tracks a daily discipline. Today is the 5th day and no exception of the profundity I'm experiencing in my thoughts!" "I Am Very Focused and Time Can Fly By Without Distractions..."
"For over a month now I have been using your Brainwave Entrainment. While I'm working at my computer I've noticed I am very focused and time can fly by without distractions while I am totally task-oriented. I do feel more focused and at ease. At night I usually listen to the deep delta selection and it calms my thoughts and prepares me for sleep. I love having these tools; the sounds are soothing and very effective. Thank you for offering them!" As you read this section carefully, you are going to love the huge amount of incredibly valuable content that you will receive with your purchase of Genius Brain Power. Over Thirty brainwave entrainment tracks, totaling over 20 hours of the most powerful, effective brainwave entrainment technology on earth, so that you can entrain for any scenario or result that you desire. These IQ increase tracks energize your brain, giving it a stimulating "work out" to increase your mental processing speed and promote new dendrite and synapse growth, so that you can become progressively smarter day after day. You can listen to these IQ boosting recordings at any time with your eyes open while you are working, running errands, commuting to and from work, etc, so you never have to sacrifice any time during your day to exercise your brain. These two tracks are mixed with gorgeous, energizing classical music from legendary classical composers such as Vivaldi, Bach, Mozart, Gluck and Mendelssohn for track #1. IQ Increase track #2 is backed entirely by iconic Mozart sonatas for piano, orchestra and more. The sheer beauty of the music backing these two tracks will inspire you to keep listening to them every day, so that you can continually increase your IQ on a daily basis. Once you make a habit of listening to both tracks once per day, you will find that along with making you progressively smarter, they will help you get more work done in less time while feeling energized yet relaxed the whole time. Your next Genius Brain Power module consists of two tracks that help you have Laser Focus and Creative Ambition so that you can come up with new ideas to solve challenges or simply have 100% focus on whatever task is in front of you to complete. You can use these tracks with your eyes open while you work, just like with the IQ Increase tracks, so you can be incredibly productive while entraining your brain for maximum power. These two 60 min tracks can be used with or without headphones, while you do any activity that will benefit from your operating from a state of relaxed, laser focus. The first track is backed with an assortment of relaxing classical music by Handel, Pachelbel, Mozart and Vivaldi. Track #2 is backed with a beautiful rainfall plus ambient music background. This ambient rainfall track is very calming so you can feel totally relaxed while you work, helping you experience incredible productivity while maintaining a calm, peaceful state of mind. Next you will move into realms of deep relaxation and meditation. If the meditation doesn’t interest you, that’s ok. You can still experience total relaxation and stress relief from these tracks so that you can feel refreshed and regenerated after a busy day. Your first set of relaxation & meditation tracks in Genius Brain Power are called “Easy Relaxation & Light Alpha Meditation." The Alpha brainwave frequency is one of the most versatile and “useful” brainwaves that you can use to consciously reprogram your subconscious mind. You will read more about how to achieve that reprogramming in the Genius Brain Power user’s manual, so that you can harness the incredible power of your subconscious mind to achieve the kind of life that you have always dreamed of. There are four tracks and three hours of entrainment in just this one module! You receive two 30 min sessions and two 60 min sessions. Backing music for these tracks are relaxing rainfall with ambient music OR mind-expanding didgeridoo sounds for an even deeper, more out of this world experience, so that you can completely let the world go for the duration of your session. Your next level moves you further into Profound Relaxation and Deep Theta Frequency Meditation. You get another three full hours of entrainment tracks at this level, just like the previous one. You will receive four Theta level tracks: 30 & 60 min didgeridoo music background versions, as well as 30 & 60 min relaxing ambient rainfall music backgrounds. The “Theta” level of brainwave activity is usually only experienced while you are asleep. Entraining your entire brain to Theta while you remain awake will begin to expand your awareness of your mind, so that you can experience the profound state of full consciousness without any mental chatter. The Theta level will begin putting you in touch with your subconscious mind in an even deeper way than the Alpha level so that you can extend your awareness even further, allowing you to “put all the pieces together” in order to consistently access the incredible potential that exists within you. Every time you experience a Theta state while awake, you develop a deeper conscious awareness of your mind’s vast potential, so that you can feel truly peaceful about your experiences in life. 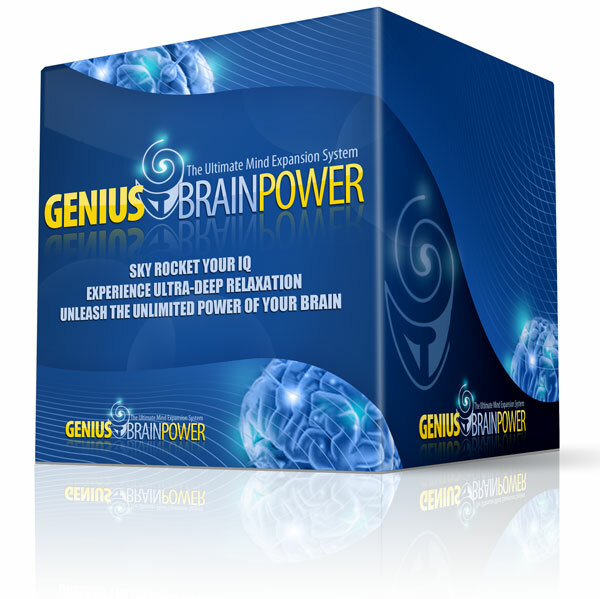 The Genius Brain Power manual will show you the best ways to use the Theta entrainment level, so you can tap into the massive genius lying dormant in your subconscious mind. Your final module in the Genius Brain Power core package is Extreme Relaxation and Ultra Deep Delta Meditation. The “Delta” brainwave frequency is normally only experienced in the deepest levels of sleep, so it will probably take you a while before you can use these ultra deep tracks and remain awake. Once you are able to stay awake for a full 30 or 60 minute session in the Delta range, you will be amazed at the profound states of mind that you feel during and after the experience. By regularly entraining your brain in the Delta frequency while you remain awake, you will begin to experience a profound transformation of your mind as it begins to expand to embrace the full depths of your subconscious mind. Did you know that your subconscious mind records everything you have ever seen, heard and experienced in life, even if you weren’t paying attention? There is literally a goldmine of information and untapped genius sitting in your subconscious mind, waiting for you to access it. Many people also report significant physical healings with regular Delta entrainment, but we’re not making any medical claims here. One thing is for sure, you will love experiencing for yourself how powerful these deep levels of entrainment feel. This covers 16 tracks and over 11 hours of entrainment music, which is more than enough to give you total mastery over your brainwave states. In addition to the 16 tracks and 11+ hours of entrainment in the core Genius Brain Power package, you will also receive another 15 entrainment bonus tracks. These exciting bonuses are targeted to specific applications so you can “dial in” an entrainment track for any situation you desire. Digital Caffeine will get you moving! These tracks are for the days when you really need a major brain boost without turning to stimulants like caffeine, so you can be alert and responsive without feeling jittery or crashing a few hours later. These tracks are intense, and I explain the best way to use them in the comprehensive user’s manual so you can get the most value out of them possible. Note: These tracks are very stimulating for your brain, so do not over-use them. If your energy levels can't be raised with entrainment, you may have other health concerns, such as chronic dehydration or adrenal exhaustion to address. The Genius Brain Power user's manual has powerful, "out of the box" information that can help you naturally correct these conditions. These tracks are great for any time you need to boost your creative juices. You can use these tracks with your eyes open while you work, so you can be incredibly productive while entraining your brain for maximum power. These two 30 min tracks can be used with or without headphones, while you do any activity that will benefit from your operating from a state of relaxed, laser focus. These tracks are great to play in the background while doing a brainstorming session with a group of people. These tracks are for the days when you need to relieve stress but don’t have time for a 30 minute relaxation session. With these two short 15 minute tracks, you can slip away anywhere private and melt away stress in just a few minutes, so you can return to your day refreshed and invigorated. These tracks will move your brain into a predominantly Alpha brainwave state for a few minutes, helping you to let go of the stresses of your day, so you can see your world through the lens of deep, inner calm. At the end of the 15 minute session, you will be gently brought back up to a Beta brain frequency, which corresponds to normal but relaxed waking activity, so you can calmly take care of whatever tasks you need to complete. These are specialized tracks to help correct a common brain imbalance that results in the feeling of being depressed, so you can get out of that “funk” you’ve been feeling. This is very helpful for the “wintertime blues” as well as more serious forms of depression. We're not making any medical claims, but this track has been very helpful for a lot of people experiencing depression who don't want to go on medication. Anecdotal experiences show that most people begin to notice relief from depression in just a few days of regular usage of these tracks. Headphones *are* required for these tracks, and they only require 30 minutes per session. These unique tracks help you to release stress and also adapt to your current stress levels so that you can handle your day to day workload with greater calm and enjoyment. It means you can lower your stress levels while at the same time increasing your capacity to handle the stressors in your daily life, so you can more easily deal with all of the things you need to take care of every day. This means the "little triggers" that pile up in any given day won't push your buttons as much as they used to, so you can let those little things slide and keep your sense of inner peace strong. These tracks are designed to give you maximum benefit with headphones while you are in a quiet place with your eyes closed. Charge up your workouts with maximum energy! This incredible track utilizes a range of peak performance frequencies from “Beta” all the way up to “Gamma” that mirror the brainwave states of top level athletes during competition. The result is that your brainwaves will signal your body to perform at maximal capacity, so you can have incredible workouts every single time you exercise. You won't have to worry about trying to get motivated to workout any more. Just turn on this track and start moving! This track will boost your workouts to a whole new level, so you can look forward to exercising and building the body that you truly want to see in the mirror. This is a single 23 minute meditation that uses a very high-frequency brainwave known as the Gamma frequency. These brainwave states are very weak in most people, and attaining this brain state used to only be possible through years of meditation and focus. Gamma waves work to integrate the brain and help it to function in a balanced, holistic manner, so that the fragmented state of brain function that has become "normal" for you is gradually replaced with a sense of wholeness and compassion. Now you can tap into this realm of peak brainwave activity any time, so that you can experience the “cosmic bliss” associated with the Gamma brainwave state. This track will entrain your brain to the lowest frequency possible to achieve in brainwave entrainment, beneath even the Delta frequency. This results in relaxation and healing of the limbic system and central nervous system, so that you can recover from the stresses of modern life naturally and easily. Anecdotal evidence shows this frequency can help reduce symptoms of fibromyalgia, chronic pain and even hypertension. In particular, the amygdala and hypothalamus are soothed by these ultra deep frequencies. Regular use of this track can help prevent you from experiencing fear responses to external stress triggers, so you can be more calm and peaceful on a daily basis. This is the king of bonuses! If you have ever had a hard time falling asleep, you know how badly it can affect you in the morning. This folder contains two different tracks to help you fall asleep easily. Each track uses slightly different methods of bringing you into a state of deep sleep, so you can use the one that works best for you. In addition, there are two 60 minute non-entrainment tracks of relaxing ambient rainfall that will keep you soothed and relaxed while you sleep. These tracks allow you to make a playlist on your MP3 player that begins with your favorite audio tranquilizer track, followed by 1-2 hours of relaxing ambient rainfall. Why do you get two copies of the relaxing rainfall track? The extra track is in case your MP3 player doesn’t have playlist capabilities, so you can just play the entire folder. Now that you know about the 20+ hours and 30+ entrainment tracks in Genius Brain Power, remember that most of the companies offering less effective brainwave entrainment products only give their customers one Theta, one Delta and an Alpha track. Then they charge $200-$300 per “level” for 12 or so levels. 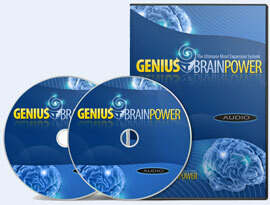 Genius Brain Power is here to transcend that paradigm of over-priced, mildly effective entrainment products by offering you far more effectiveness and TEN TIMES as much content for a fraction of the price others charge. 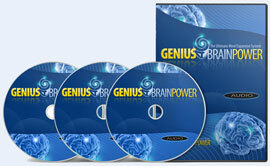 I am so confident in the Genius Brain Power package that I back it with a 100% unconditional SIX MONTH money back guarantee. If you are not satisfied with the package for any reason at all, just ask for a refund. I can make such a bold guarantee because I have seen that every single person who uses the Genius Brain Power system experiences a wide variety of amazing results, unique to each individual's needs. So don't wait a minute longer. Order right now and begin experiencing the wonders of the best brainwave entrainment package available today. Genius Brain Power could easily retail for $197, but I have set it at $97 because I want to make it easy to afford. Most brainwave entrainment products out there are very expensive, and while GBP isn't dirt cheap, $97 is an excellent price. Even at $197, the 1370 minutes of entrainment audios you will receive with your Genius Brain Power purchase works out to less than .15 cents per minute, which is an astonishing bargain compared to the $1-3 per minute that the average entrainment product costs. 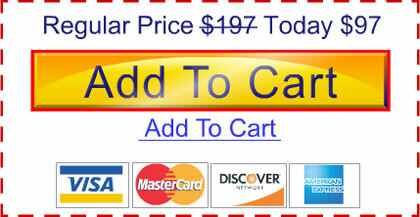 Click on the happy, orange Add to Cart button below. This will take you to a very simple action form that will take you just a minute or two to fill out. You don’t even need to put in a physical address since you will be downloading the product. 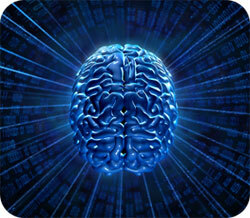 I want to take advantage of the amazing power of brainwave entrainment. I want more motivation, energy, focus, creativity and much more all from simply listening to your powerful audio recordings. I know that I don't have to wait days to receive my audios via snail mail but I can download all the audios instantly to listen to them on any PC, mac, mp3 player or iPod. I realize that the price of just $97 is a great deal for a brainwave entrainment package of this magnitude. I understand that I have a full 180 day money-back guarantee to utilize these audios to their full potential. And, if I'm not satisfied in any way, I'll receive a full and courteous refund of my purchase price. Order with confidence. Your order is securely processed by ClickBank, the largest internet retailer of digitally delivered goods. If you're serious about upgrading your brain so you can improve your life, then you owe it to yourself to try these phenomenal entrainment audios. But YOU can be different! You can use Genius Brain Power to empower your brain so that you come alive with more energy, learn quicker, think more creatively, focus on your work like never before and drastically reduce stress with amazingly deep states of relaxation and meditation. P.P.S. Remember, your investment in Genius Brain Power is completely risk free, because you have a full 180 days to experience the tremendous power of this incredible brainwave entrainment package. If you are unsatisfied in anyway, I'll give you your money back.